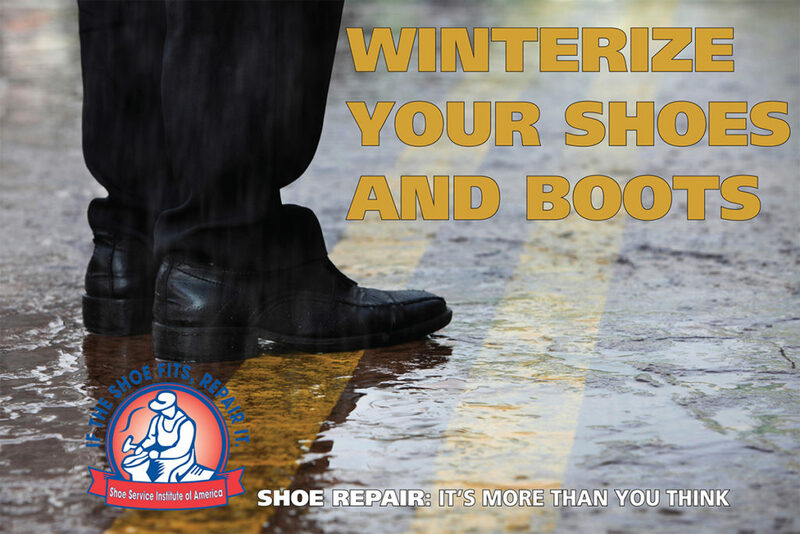 Your shoe repair professional can make your life a bit more comfortable in several ways. If you have a pair of shoes that is perfectly broken in, shoe repair can keep them looking new while maintaining that broken in feel. If your shoes are too tight, your shoe repairer offers stretching services. Typically, they can stretch a shoe from a D to a EE in width. They can also add more space for toes or raise an instep. They can even stretch the calves on boots. Jimmys – are thin pieces of cork, felt or foam designed to go under the sock lining in the forepart of the shoe. If a 7 1/2 is too loose and a 7 is too tight, you can “jimmy” the shoe to make it fit like a 7 1/4. Heel Cushions – are placed under the sock lining to add comfort under the strike zone of the heel. Insoles – come in a variety of styles and materials. Flat insoles made of foam or leather add cushioning to the shoe and make loose-fitting shoes tighter. Contour insoles have an arch support and heel built in. They give extra support and hold the foot firmly in place so your foot doesn’t slide inside the shoe. Halters – are oval-shaped pads that go under the ball of the foot. They are made of suede or foam and serve to shift the foot back in the shoe. They are especially useful with open-toed shoes to eliminate toe overhang. Tongue pads – are applied under the tongue of the shoe and tighten shoes for those with low insteps. They add thickness and cushioning to the shoe. Heel Grips – are applied to the back of the shoe and help prevent the heel from sliding in and out of the shoe. They also push the foot forward in the shoe. Pinch Pads – are used wherever the shoe may chafe—especially over the toes where the shoe bends and can sometimes press down into the toes. Arch supports – provide support under the arch. They reduce foot fatigue by distributing the body’s weight evenly on the foot.